BRYAN EATON/Staff photo. 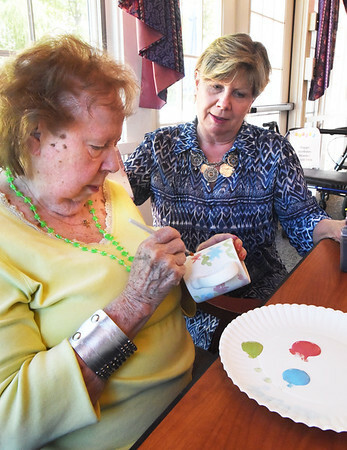 Kathy Ryan, right, of the Pottery Isle came to Brigham Manor Nursing and Rehab Center to work with residents to decorate different pieces of pottery. Here she watches as Betty Reader, who attended art school, decorate a coffee mug.